A new customised support programme for innovative entrepreneurs provides three selected startup teams with immediate access to one of the most vibrant startup ecosystems in Europe. The Future Hamburg Award is open for applications until 31 January 2019. Hamburg offers the perfect breeding ground for international startup businesses. After all, the vibrant metropolis at the waterfront is home to more than 10,000 millionaires and boasts a strong creative sector as well as innovative industry branches. Little wonder then that Germany’s number one trading hub also holds the highest gross domestic product per inhabitant in Europe’s strongest economy. What makes Hamburg one of the most dynamic startup locations in Europe? Founders from around the world value Hamburg as a location for kick-starting their digital business ideas because the city’s startup ecosystem is considered to be one of the strongest in Europe. Global players such as Google, Facebook, Hootsuite and Yelp have chosen Hamburg as the location for their corporate headquarters. A major centre of trade in Northern Europe, Hamburg is an ideal place for tapping new markets based on innovative ideas. Moreover, Hamburg offers excellent opportunities for networking with established world market leaders and innovation champions. Some of the most successful startups such as myTaxi, Jimdo and Xing were founded in Hamburg. And thanks to a growing number of coworking spaces, accelerator programmes and startup hubs, Hamburg’s attractiveness has increased even further over the past years. “For many technology-driven startups, Hamburg is one of the best options when compared internationally,” says Veronika Reichboth, Director of Hamburg Invest’s Startup-Unit. 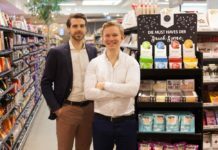 To support startups even further, Hamburg Invest and Hamburg Marketing have now launched a new initiative for founders: the Future Hamburg Award. “On the one hand, this award is aimed at creating networks between innovative startup businesses and established companies. On the other hand, it provides founders with tailor-made coaching sessions regarding market entry and the further development of their business model,” she adds. Apply until 31 January 2019 for the Future Hamburg Award and secure your fast track to Hamburg as a business location! In recent years, Hamburg’s startup ecosystem has experienced a boom – with veritable sums being invested: according to the auditing company Ernst & Young, Hamburg’s startup scene was invigorated in 2018 with venture capital to the tune of €548 million. With a share of around one third, international investments are playing an increasingly important role here. 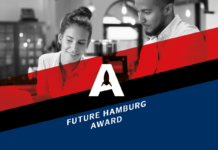 Who can apply for the Future Hamburg Award? The award is aimed at innovative startup businesses from around the globe. Applicants are expected to have been on the market for no more than ten years and have a digital, technology-oriented or knowledge-based focus. Ideally, companies should also be able to present a functional or demonstrable prototype, where possible. To enable a broad range of companies to participate, the application process at www.future.hamburg is swift and easy. 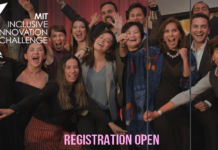 Registration for this unique support programme takes just a few minutes. 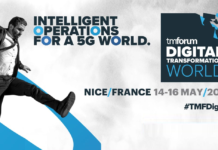 Three selected startup teams will receive exactly what they need to gain a foothold in the German market and to become internationally successful. What is special about the Future Hamburg Award is the fact that the “Start me up in Hamburg” package has a modular design that can be adapted to individual needs, while the detailed contents of the package will be agreed on in collaboration with the winning teams. 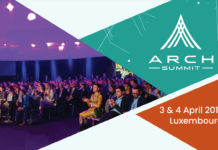 Another highlight will be the award ceremony during the OMR Festival in May 2019, with more than 40,000 marketing and technology experts attending the Hamburg event. As part of the event, founders will also have the opportunity to present their business in front of a specialist audience. In addition, the winners will receive a comprehensive media package, high-end business coaching, and professional pitch training. During their stay in Hamburg, the teams will also be able to benefit from up to six months of free access to a coworking space as well as exclusive networking events. So which business idea is innovative enough to convince the jury? 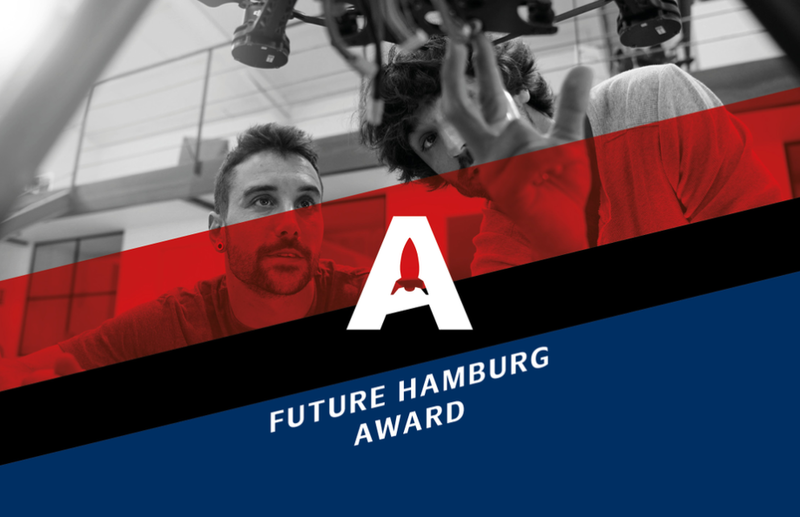 Register now for the Future Hamburg Award!